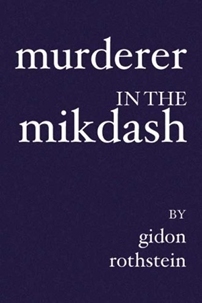 Writing a murder mystery set in the time of a future Beit HaMikdash (Temple) may seem somewhat quirky, but Gidon Rothstein has done it with a set of educational goals in mind. In this accompanying Study Guide he gives Jewish educators the tools to bring those goals to fruition. The conceit of the novel is that the Messiah has come, the Temple rebuilt, a sort of theocracy established in Israel, and yet not all that much else is different. This is not the ordinary modern conception of the Messiah, but it is Rambam’s, and is worth thinking about as students approach the book (or throwing out as a question to think about as they go through the book). What do they say think will occur with the Arrival? How much of the perfecting of society will already have been accomplished, what will the Arrival itself accomplish, and what will remain? This guide is meant to aid in turning the book from a pleasurable reading experience into an opportunity for thought, study, and learning. Among the many hopes I have for the book, I see it as an enjoyable way to engage students of all ages, especially teens, fostering a real consideration of the Jewish perspective on a range of issues. Putting together such a study guide forces me to make assumptions about the best way to teach a book, so I will make those explicit, to allow you to choose which way you want to handle it: The easiest way to use the book is just to read it, perhaps noting interesting topics along the way. For that group, I open the study guide with page-notes, picking out places where the Jewish content is most crucial to fully understanding the text. Once having read the book, there are numerous issues one could address in either extended conversations or as the basis for assignments or projects. These ideas are places where the book takes a position on how to operate a Messianic world (or raises a question about it); since it is just a book, it is not meant as an absolute assertion of what will happen, but as a stimulus to thinking about it. Underlying the book, as should be true of all of Judaism, is a deep engagement with the texts that su ggest that such a future is Jewishly possible. I hope that some, if not many or most, will choose to make this book a text, to use it as the basis for going back to the sources I used in shaping the story line of the book. Those sources, let me repeat, help readers confront a wide range of issues that touch on fundamental aspects of Judaism per se, not just of the time of the Mashiach. To accommodate each style of study, this Study Guide has three sections: The first consists of page notes, brief comments on a piece of the action, often with some questions that could be used as a springboard for class discussion and/or as a homework assignment. Since these would accompany the reading of the book, they do not yet expect a fully developed perspective, just the kind of reactions one might have upon first encountering a new idea. The second section offers some of the major themes the book raises, for discussion after having read the book in its entirety. These are issues that the book raised for me as I wrote it, and the consideration of which I found to be worthwhile from a Jewish perspective. The third section, the endnotes to the first, offers some actual sources for study. Here, depending on how the previous study has been handled, students can spend time engaging the original sources, seeing how I used them, thinking about whether they would have understood them the same way, whether they feel comfortable with the messages of those sources, and how they might come to understand better what the sources envision as the way the world should work. Rabbi Gidon Rothstein is currently the Rosh Kollel at the Yeshiva University / HAFTR Community Kollel in Cedarhurst, NY, and is an editor of www.TorahCurrents.org. He can be contacted at gidonr@att.net.